Though most travelers do not count this as a good time to travel there is a certain charm in vacations during the downpour. 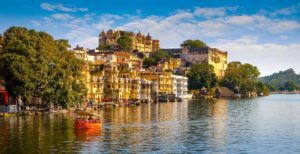 With our list of spectacular monsoon destinations in India, you will certainly change your opinion about the glorious rainy season. These are the places where you can enjoy vacations for relaxing, sightseeing and adventure accompanied by gentle winds, light raindrops and that delicious smell of Earth. One of the most beautiful monsoon destinations in India. Coorg is the not just one of the most beautiful hill stations of Karnataka but also India. This romantic destination offers enchanting waterfalls, lakes, vast coffee plantations and delicious cuisines to treat your taste buds. The weather becomes quite pleasant and cool because of the heavy rains. 5 hours (270km) from Bangalore via road if you are planning to go on a road trip. The nearest airports are Mysore at 120 km, Mangalore which is 135 km far and Bangalore at 260 km. Coorg doesn’t have a station by itself but the nearest railway stations are Mysore, Mangalore, and Hassan. Munnar is truly a paradise in God’s own country. Rains add magic and romance to the already beautiful hills of the Western Ghats, a prime tea-growing region carpeted in emerald-green tea plantations. The best thing about a monsoon vacation is, Munnar is crowd-free, hotels and resorts offer great discounts. 3 hours 40 minutes (130km) via road from Cochin if you take the NH49. The nearest railway stations are Aluva and Ernakulam which are the major cities in Kerala. The nearest airport is Cochin at 110 km and Madhurai international airport which is 140 km. A group of nearly 570 islands, this exotic location has amazing wildlife, thrilling water sports, pristine silver sand beaches, mountains, breathtaking natural beauty and tribal tour. This place will never seize to amaze you and you are sure to fall in love with its incredible beauty. 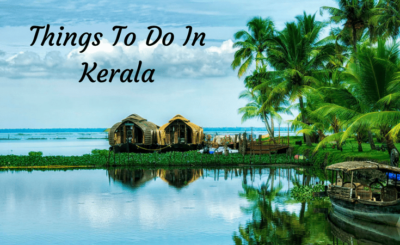 it has to be a must on your list of best monsoon destinations in India. Regular passenger ship services are available from Chennai, Kolkata, and Vishakhapatnam. There is the direct or connecting flight to Port Blair airport which is the capital city. Kodaikanal, The Gift of the Forest’ is a scenic beauty which further magnifies its charm during monsoon. The small hill town in Tamil Nadu creates a refreshing vacation. You can also have a very lucky experience, a rare phenomenon called Brachem Spectre where you actually see yourself in the clouds. It is about 9 hours (450 km) from Bangalore via road. The nearest railway stations to Kodaikanal are Palani station at 64 km. The nearest airports are Madurai which is 135 km away. One of the best places in India during monsoons is the city of Shillong which receives the heaviest rainfall during the rainy season. 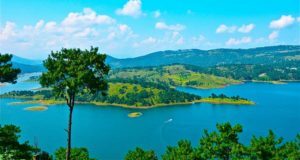 Surrounded by picturesque valleys of Khasi and Jayanti hills, adorned by numerous waterfalls, Shillong offers a panoramic view of the green natural scenery. By train- The closest railway station from Shillong is in Guwahati. It’s about 100 kilometers away and you can easily take a taxi from there. The Guwahati railway station is connected to New Delhi and other major cities across the country. 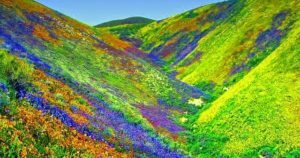 The Valley of Flowers in Uttarakhand is one of the most beautiful places on Earth. Monsoon is the best time to enjoy a visit, as the mountain flowers of every possible shade, bloom after the rain. Where else can you enjoy the beauty of more than 400 varieties of flowers in their full bloom? This valley is a part of the national park where you can reach only after a scenic easy trek. Govindghat is the nearest bus stand which is around 18 km away from the Valley of Flowers. The nearest airport is in Dehradun and the nearest railway is in Rishikesh. 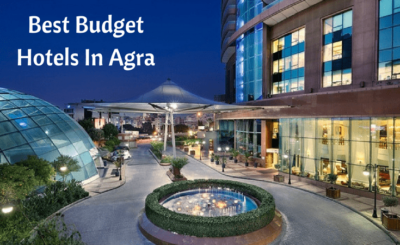 There are two routes to reach Govindghat, one is via Srinagar from Rishikesh, and the alternate route is from Haldwani via Ranikhet to Govindghat. Enveloped in the beauty of the Sahyadri range, a part of the Western Ghats, Mahabaleshwar is one of the most romantic places in India, especially in the monsoon. Pratapgad is charming to explore as the tales of the olden days reverberate in the very air. The popular weekend getaway of Maharashtra, Mahabaleshwar lies close to both Pune and Mumbai. Road trip from any of these cities is the best way to reach the hill town. Pune is the closest city with both air and rail connection. Pune lies 120 km away while Mumbai is almost 250 km. Udaipur in Rajasthan is next on the list of best places to visit in India during monsoon. The main attractions of the city are the City Palace and the Udaipur Lake Palace located in the middle of the Pichola Lake. During monsoons, this place revives with a hint of greenery around its pristine lakes and palaces to give you breathtaking views. Udaipur has its own railway station. The nearest airport is the Maharana Pratap airport in Dabok which is at a distance of 22 km from the city of Udaipur. The nearest railway station in Darjeeling is at New Jalpaiguri (62 kilometers from the main town) which connects major Indian cities like Kolkata, Delhi, Guwahati, Chennai, Mumbai, Bangalore, Bhubaneshwar and Cochin. Or take a flight to Kolkata. 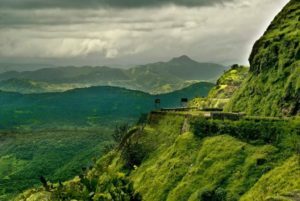 Lonavala is one of the most beautiful hill stations in India. Come rains, and the bliss is truly out of the world. Built on the Indrayani River, Bhushi Dam is a popular site. The pictorial Pawna Lake, surrounded by lush forests add to the beauty. Tungarli Lake looks absolutely romantic. It’s 1 hour 45 minutes (84 km) from Mumbai & 1 hour 26 minutes (67 km) from Pune by road. Lonavala has its own railway station & almost all the trains running on this route, halt here. Find all latest Domestic flight booking offers & coupons here at MakeMyTrip, Goomo, Cleartrip, Ixigo, Jet Airways, Musafir, Yatra, Cheapticket, EaseMyTrip, TripTapToe and make your trip in the budget. Awareness About Water Borne & Food Borne Disease.